Not only did welders play a vital role in both world wars but also the field of welding advanced to meet the military’s demand for sturdy tanks, ships and planes. President Woodrow Wilson spearheaded the use and innovation of welding in American industry with the formation of the Welding Committee of the Emergency Fleet Corp as the country entered World War I in 1917. Discover more about how welders and welding helped win the wars. 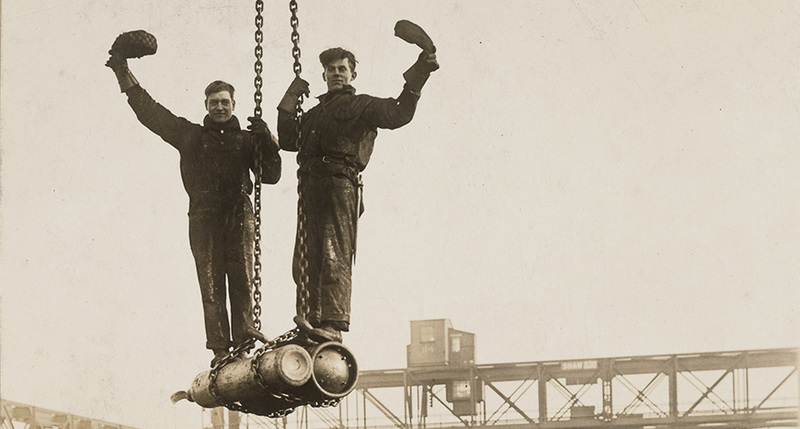 Electric arc welding became the primary method of fabricating torpedoes, bombs and mines in England during World War I due to the shortage of gas. In the U.S., more than 1700 different kinds of weapons used during World War II were made with welding. A 155-mm Howitzer carriage, a 105-mm Howitzer self-propelled artillery motor carriage nicknamed the ‘Priest’ and the M4 medium tank were all notable welded weaponry produced during that time. One reason welding factored so greatly into the manufacture of weapons was that it replaced riveted construction in many metal fabrication applications, including in the transportation industries. In the race to produce durable equipment to fight World War II with, military powers around the globe put welding to use in new ways. Prior to the war, welding wasn’t perceived as a reliable method for shipfitting due to cracking. However, this was a misconception, as it was later found that steels that were notch sensitive at operating temperatures were the real cause, along with discontinuities related to the design of the ships. Submerged arc welding helped to revolutionize the shipbuilding industry during the war, with the U.S. producing 2,710 Liberty ships and 531 Victory ships. 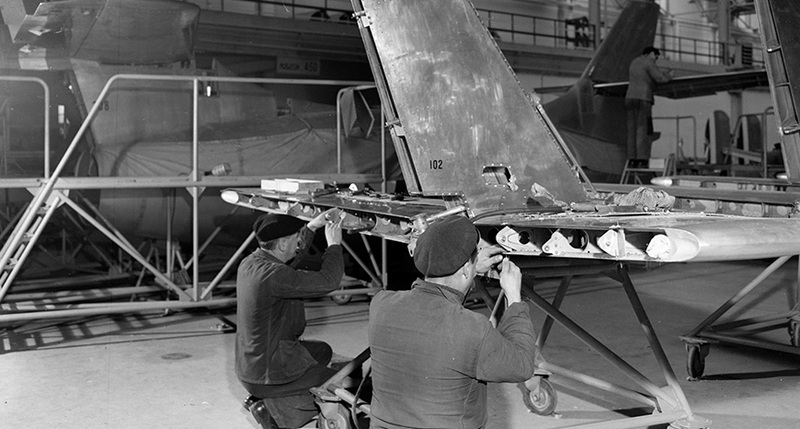 The aircraft industry developed gas tungsten arc (TIG) welding in the 1930s and 1940s for working with magnesium. During World War II, TIG welding became the primary process for welding aircraft because it was much faster than torch welding. The process has also come to be used for thick aluminum and stainless steel and is still relied upon heavily for aircraft welding today. Welders also contributed to keeping the tanks, jeeps, trucks and artillery they made moving once put into action. For Operation PLUTO: Pipe Line Under the Ocean, machinists and welders secretly connected more than 4,200 miles of mild-steel pipe to transport oil across the English Channel. 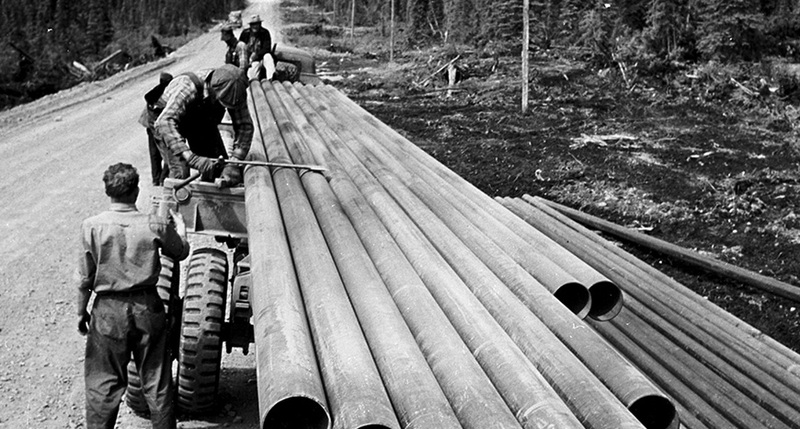 After each welding bead was laid on land, the flexible pipe was wrapped around huge spools spanning more than 30 feet in diameter. Ships pulled the spools across the water, allowing the pipes that would carry the fuel pivotal to the success of D-Day to unravel onto the ocean floor. Women’s contribution to the war effort was made famous by Rosie the Riveter, the face of the U.S. government’s campaign to call women into factories across the country. While men fought on the front lines, their wives, daughters, mothers and sisters kept them supplied with new tanks, ships and airplanes. 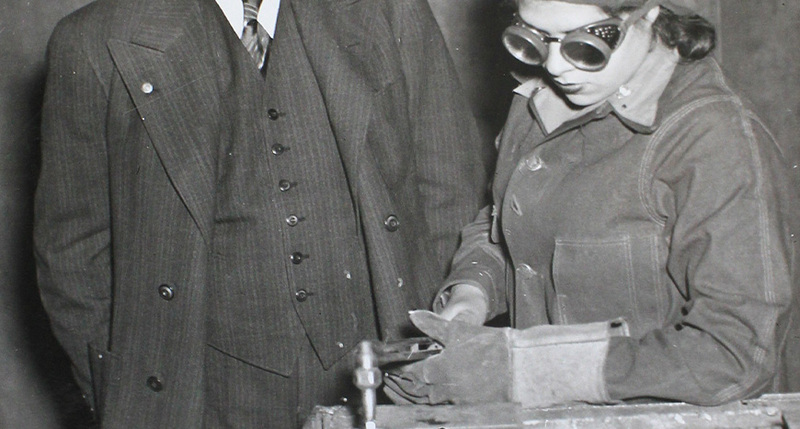 This huge social shift was evident in the sheer numbers of women working in manufacturing: at the start of World War II, women accounted for less than 1 percent of aviation workers; by 1943, they made up 65 percent of the workforce! As we take time to appreciate military personnel and veterans for their service to the country this Veteran’s Day, let’s be sure to count welders among them. 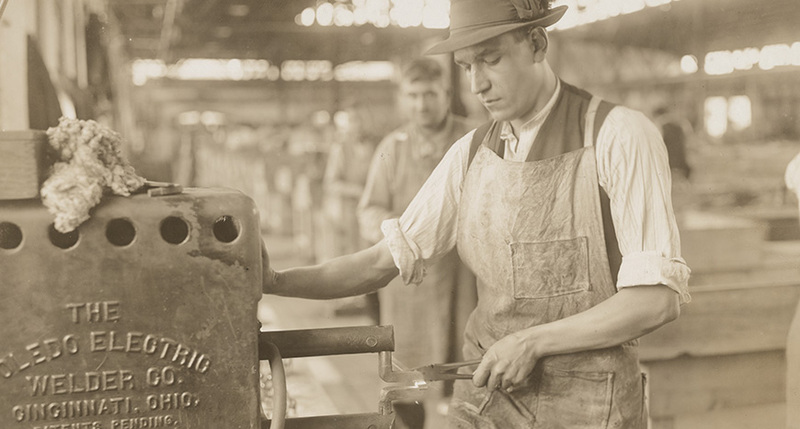 These tradespeople have played a big role behind the scenes during conflicts throughout history and continue to do so. Thank You Welder War Veterans!